We offer custom development solutions based on your needs. We can help with automating and integrating your website so you can focus on what's important: growing your business. Traditional web design. We can give your website a professional look, and have experience with WordPress, Joomla, and Magento. Widgets, feeds, and more. We can handle all of your development needs, and provide custom solutions for projects large and small. Work smarter, not harder. We automate your day to day tasks, making you more efficient. If you're not tracking the right numbers, you can't measure your success accurately. With our experience, we can help. 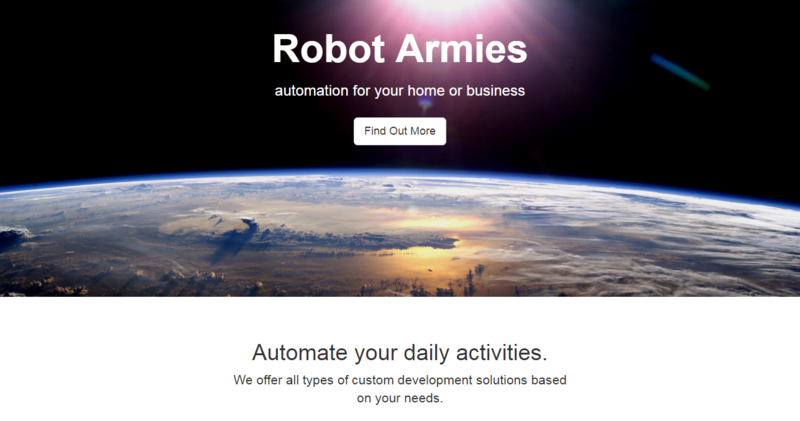 Custom development and automation.... for humans. We like to build things. Intgerated with the restaurants POS system API, we were able to provide real-time beer listings for all items currently on tap to both the web and in-store menus. Custom home page with search and filtered RSS feeds from Craigslist, Beanstalk, GitHub, and more. 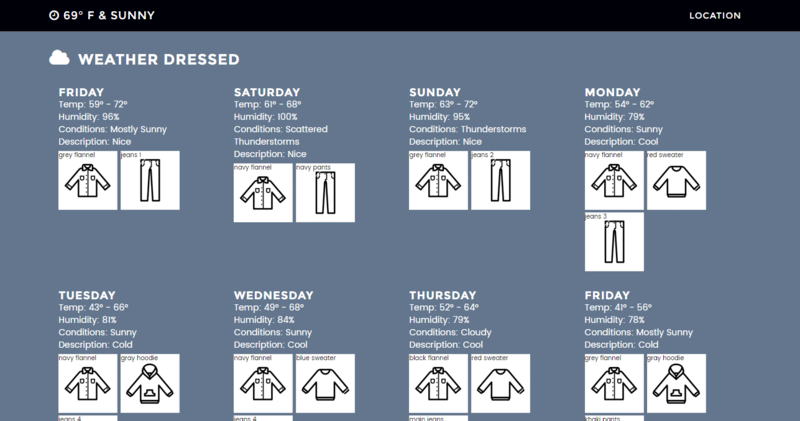 Processes the weather forecast to let the user know what to wear, based on location, forecast, and user's available wardrobe. An automated torrent manager that will pull rss feeds and cross-reference with IMDB to show available torrents with full media metadata. Also able to auto-download movies based on ratings thresholds and separate SD and HD content. A sample of sites we've designed. The very site you're looking at! 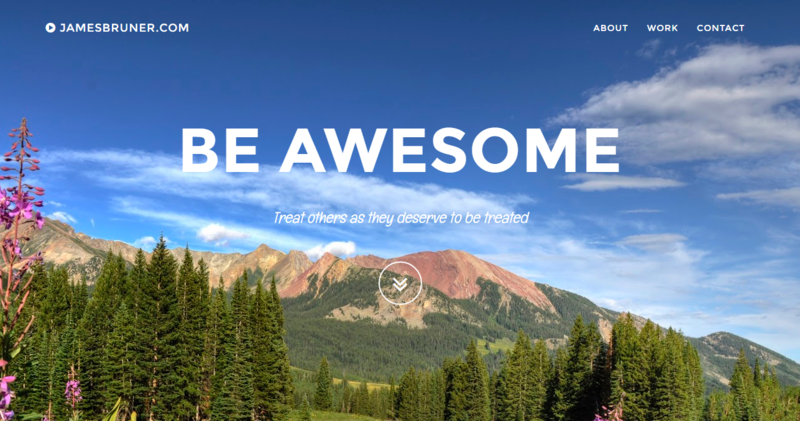 This uses a one page responsive template with some very basic content management development. 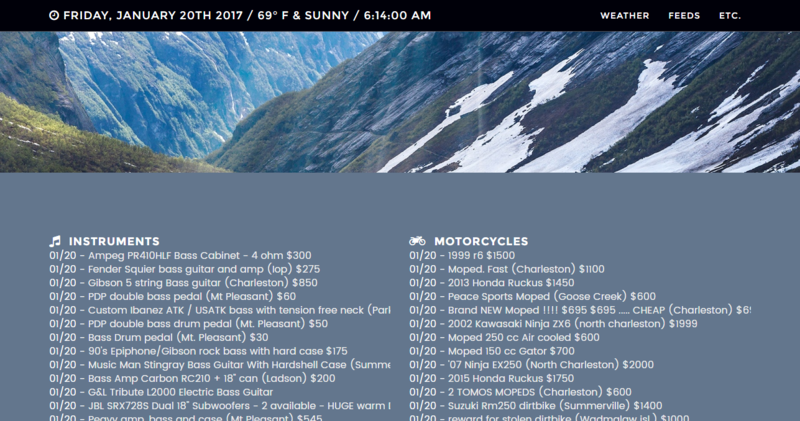 Simple example of a personal website, using a one page responsive template. This will rotate intro backgrounds and quotes at random. 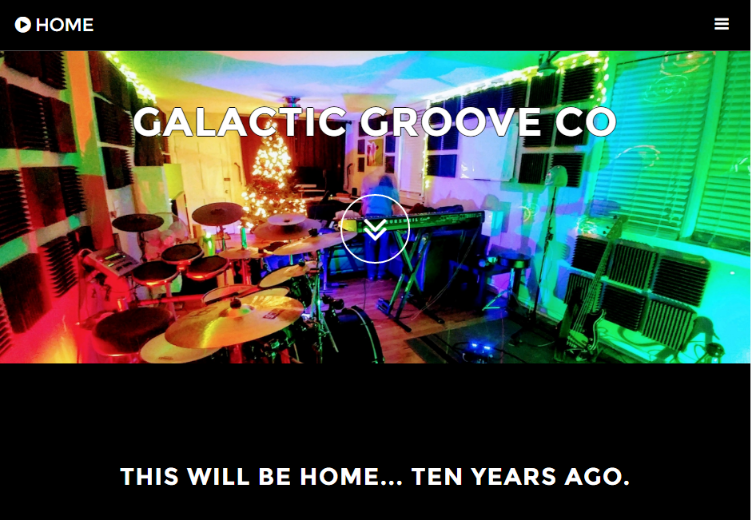 Galactic Groove Co. provides the best grooves this side of the Milky Way. This one page responsive template includes videos, music, and some behind-the-scenes API integrations with YouTube and Twitch. 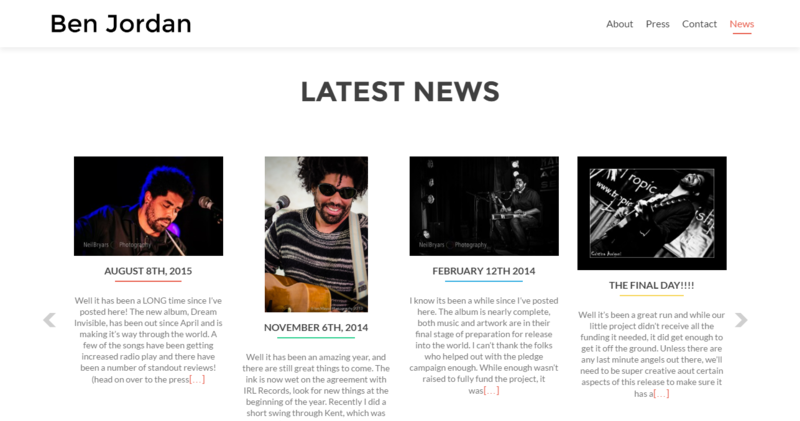 A nice responsive WordPress site for artists and musicians, and leverages widgets for music and tour date management to make it easier for the artist to update. Automation for your home or business. Let the bots do the heavy lifting. A completely automated home media server that auto-magically downloads and sorts TV shows and movies. All media is streamed using the PLEX media server application. A suite of skills built for the Amazon Echo. The first of many new skills and integrations for Alexa. This is a weather app that takes the guesswork out of what to wear. It processes the weather forecast to let the user know what to wear, no matter what the weather. Custom integrations for home automation using the Samsung SmartThings hub. Greetings, human! This site was created by robot armies.